Available 24/7 for special import needs to airline passengers who require clearance of sensitive cargo that they carry on flight. With prior notice cargo is cleared before plane’s arrival. We meet passenger at terminal and assist in Customs formalities. The first cargo clearance in 1850 was done with pen and ink. Then sometime in the 1870s the typewriter arrived and dramatically changed the entry process. The computer has liberated the small/medium sized Customs Broker. Now, with our computer directly connected to Customs ABI/ACE/BIS it is possible to transact both import and export transactions at any US port. With the electronic benefits of ABI and ACE that customs offers we are able to clear eligible import cargo through any port in the U.S. And with AES through BIS we are able perform remote filing of export entries through same U.S. ports. 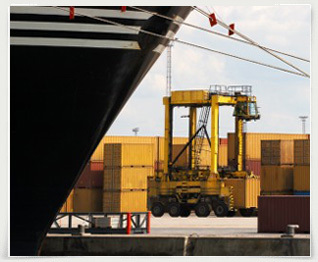 We are not only immersed in the logistics of the commercial customs entry process and the rapid movement of incoming cargo through the all ports in the USA, we are also actively engaged in the clearance of the vessels that bring the cargo into and out of the San Francisco Regional Customs portal. Our office for this operation is located on Pier 29 on the Embarcadero of San Francisco. That office is on call 24/7 to accommodate both vessel arrivals and departures assuring documents specific to those vessels and cargoes are accurate and presented within the required timelines of the various government agencies involved. The Marine Division staff also overseas vessel agency representation for several lines.